Dr. Goldberg is an Assistant Professor of Emergency Medicine and a board-certified emergency physician. She completed her internship, residency, and chief residency at Brown University. Currently, she is a post-doctoral research fellow at the Center of Gerontology and Healthcare Research at Brown University (AHRQ T32) and a student in the Masters of Epidemiology program. Her research interests lie in preventative care and public health interventions in the cardiopulmonary realm, as well as health services research. 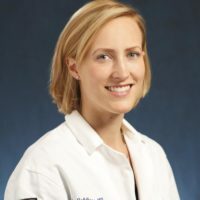 Her work has included the management of emergency department (ED) patients with chronic hypertension, the provision of high quality bilingual CPR education, identifying predictors for pediatric pneumonia, and the development of a clinical assessment tool for pediatric asthma. Currently, she is studying referral practices for asymptomatic hypertension.